Fortnite is the latest video game craze – and the hottest new party theme! I have just posted a video tutorial on how to personalize my new Fortnite Birthday Party Ticket Invitation template with your own party details. This Fortnite invitation is part of my new Fortnite Birthday Party Printables collection. 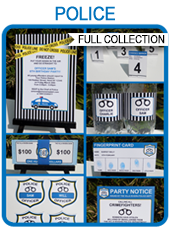 All templates are available as Instant Downloads so you can get your party started right now! This was PERFECT for my Granddaughters 1st Birthday….. The Instant download fit our short deadline with ease!!!! !